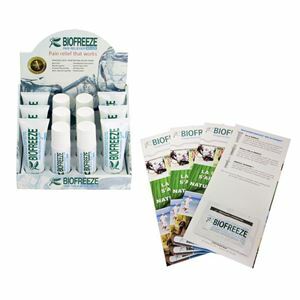 Biofreeze® is a unique, effective analgesic formulated to provide a variety of benefits for therapy, pain relief, exercise/training and overall comfort. Biofreeze® contains ILEX, an herbal extract from a South American holly shrub. ILEX is used around the world in various health & wellness formulations. 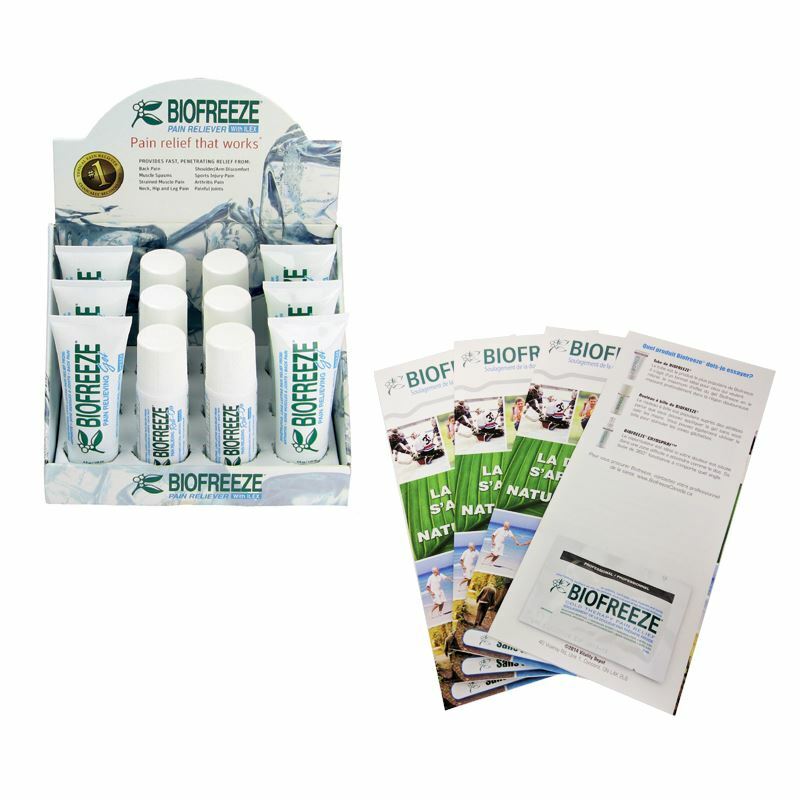 Biofreeze® does not use waxes, oils, aloe or petroleum. The result is a fast-acting, deep penetrating, long lasting pain reliever. Enhances therapy Decreases pain from range of motion and resistive exercises Helps relieve: Back & muscle pain Arthritis pain Shoulder & neck pain Muscle sprain Hip, leg & knee pain Painful joints Sports injury pain Shoulder-arm discomfort Relieves pain prior to: Ultrasound treatments Massage therapy Rehabilitation exercises Pre and post workout stretch The Biofreeze Starter Solution Kit includes items to increase sales to patients. The kit comes with a pre-built counter top display that includes 6-4 oz tubes, 6-3 oz roll-ons and 50 Patient Brochures with samples.